La Africa Science Leadership Programme announces the launch of their 2019 call. The fifth ASLP workshop is planned to be held in Pretoria at the Future Africa campus in March 2019. The programme was launched in June 2015 with a first cohort of 20 fellows. 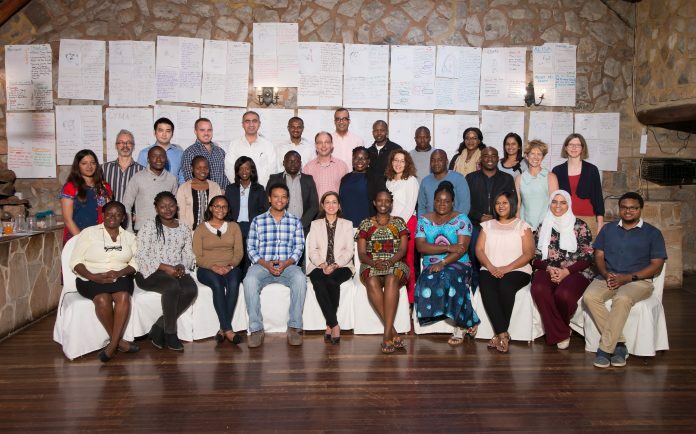 At present, the ASLP has trained 84 fellows from 18 countries across Africa. The programme is an initiative of the Universidad de Pretoria y de el, Global Young Academy, con el apoyo de la Robert Bosch Stiftung, aims to grow mid-career African academics in the areas of thought leadership, team management and research development, with the intention of enabling them to contribute to the development of a new paradigm for science in Africa, focused on its contribution to solving the complex issues facing both Africa and the global community. The speed and quality of the development of science capacity in Africa and the rest of the developing world depends not only on infrastructure and the technical training of people, but is intimately linked to the quality of leadership to lead change. It is widely accepted that the future of scientific development lies in enabling interdisciplinary, interconnected and often large, international teams. Training structures are, however, often not set up to prepare a next generation of scientists for the complexities that an interconnected, interdisciplinary approach to science entails. There is an internationally emerging paradigm that recognizes that the focus on individual leadership is often inadequate to address complex challenges, which require skills across many sectors and collaborative processes. The ASLP will therefore focus on developing collective leadership skills that will help fellows contribute to the UN Sustainable Development Goals (SDGs). Les ayuda a aplicar las habilidades adquiridas a proyectos que son relevantes para el desarrollo académico en el continente y su impacto en la sociedad. Advances a curriculum for academic leadership development, which can be utilised in institutions in Africa and beyond. The programme will use a highly interactive approach to training, application of skills to a leadership project, peer support, and mentorship. Fellows will attend an initial 5 day, intensive on-site programme in Pretoria, South Africa from 16-21 March 2018 (departing on the 22nd). The process will involve an approach that cycles between theory, application and reflection. Participants will be challenged to work collaboratively to design initiatives that advance a new paradigm for African science. Resolución eficaz de problemas y toma de decisiones. Following the first training week, fellows will apply their skills to a project relevant to their context and the Sustainable Development Goals (SDGs). As described above, projects will aim to contribute to a new paradigm for Africa science. During the year, participants will continue to engage with the group and have access to professional support. Los costos incurridos durante el taller (capacitación, viajes relevantes, comidas y alojamiento) serán cubiertos por el programa. In March 2020, fellows will complete their projects and present them at the second in-person training, which will consist of 3 days. Para ser seleccionados, los solicitantes deben mostrar una visión convincente de su futura participación en el desarrollo de proyectos de investigación, programas, capacidad humana, políticas específicas o estructuras sociales. El proceso de selección considerará las cualidades individuales, pero también se centrará en garantizar una diversidad de cultura, antecedentes de las asignaturas (ciencias naturales y sociales, humanidades) y género entre los becarios. Cuando sea posible, el programa también intentará crear pequeños "núcleos" de liderazgo; Por lo tanto, se considerarán los solicitantes fuertes del mismo centro o país. Intención de compartir lo que se aprende en el programa con sus redes más amplias. A commendable approach to solving African myriads of challenges.